Why purchase an expensive new system if you can get a factory-refurbished system, like new, with full warranty, at only half the price? 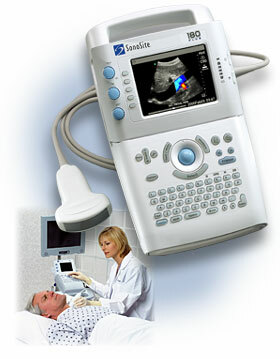 We have the tremendous good fortune of having access to exceptional refurbished, used, and demo SonoSite ultrasound systems. Most come with a full 12-month warranty and all come with free shipping. * Note: If you are only interested in Vascular Ultrasound, or in OBGYN ultrasound, and not in Cardiac Ultrasound, you may want to also consider the GE LogiqBook, which you can view here. The SonoSite is exceptional in every application, but if you are not needing to do cardiac work, the LogiqBook is a worthy alternative.